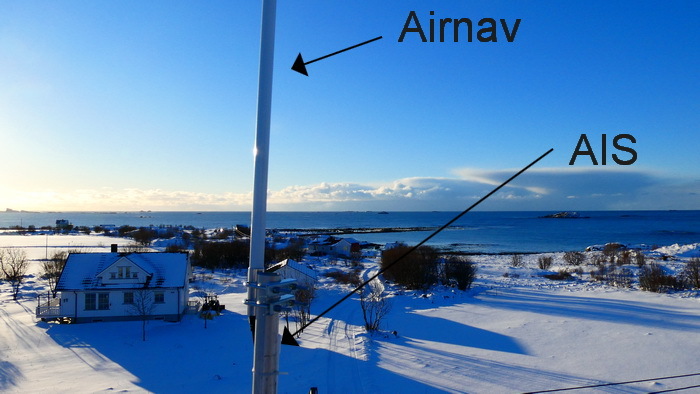 Can the Airnav antenna (1090 MHz antenna) and a AIS (VHF antenna for ship traffic) be mounted on the same pole? result in personal injury and / or AIS receiver malfunction. 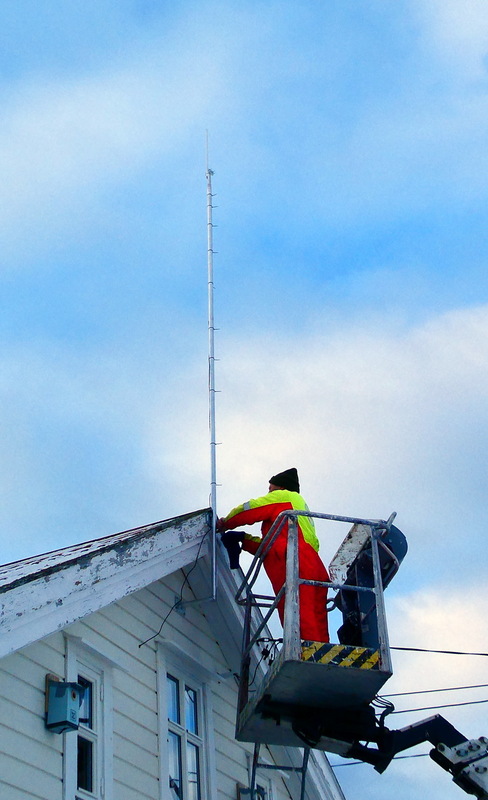 • The antenna should not be located near or operated in conjunction with any other VHF transmitting equipment. The required antenna impedance is 50Ω. However the receivers are receive only so there should be no issue although happy to be corrected by someone with knowledge on the matter and what you detailed mentions transmission equipment. I would however keep them a reasonable distance apart. I guess the Airnav wave isn´t "any other VHF transmitting equipment." The best thing to do is have vertical separation. Keep the AIS antenna the highest since you need to see ships as far as possible. The ADS-B antenna can be lower since aircrafts naturally have height. A 1.5 to 2 meter separation should be good. It got mounted like this. (for now). for the AIS you only need one side (180º) or a 360º view? Still mounting it via an offset bracket might improve antenna performance. Apparently 1/4 wavelength, that's 46cm for AIS, is optimal from what i can gather. But even a 10cm bracket would probably be an improvement. On the other hand a bracket and the antenna mounted at an offset will most likely increase wind loading of the mast. I Will make som changes and get some distanse to the pole. I only need 180 degree view.